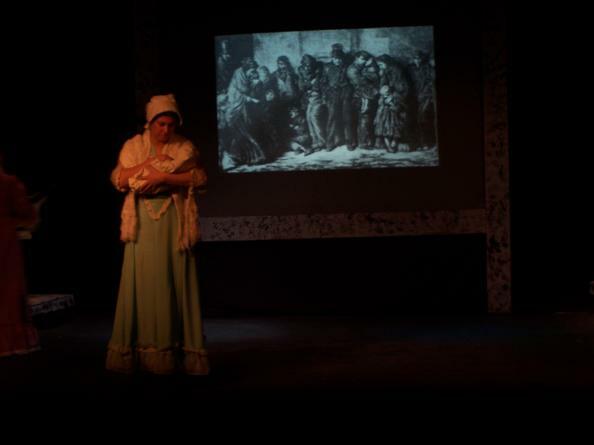 successful as the previous year’s A Christmas Carol. In fact, it sold more copies and, due to the fact that the publisher of A Christmas Carol bilked Dickens out of large amounts of royalties, it made him far more money. The Chimes is actually not a Christmas story: it's a New Year's story, but it serves for Christmas very well. 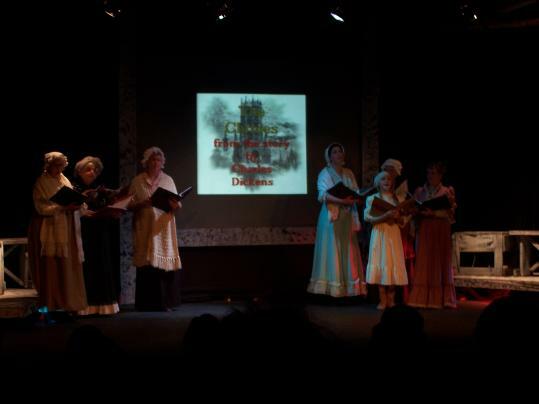 Presented in the same "musical story theatre" style as our very successful A Christmas Carol (but with an all-original score), The Chimes is as musical, as entertaining and as deliciously "Dickens" -- with the added advantage of being all-new to most people. Here's the script with the vocal score embedded in the text. View the script with embedded vocal score! ﻿Toby “Trotty” Veck is an old man who has lost his faith in himself and humanity, but one New Year’s Eve, with the help of the spirits that inhabit the belfry of a nearby church tower, he finds strength to go on. ﻿Many consider it a more "human" story than A Christmas Carol – more human and more intense, with characters drawn from real life stories. Being Dickens, however, it is also comic and engrossing and exciting and above all, entertaining.